Hand crafted coconut bowl made by artisans in Vietnam! 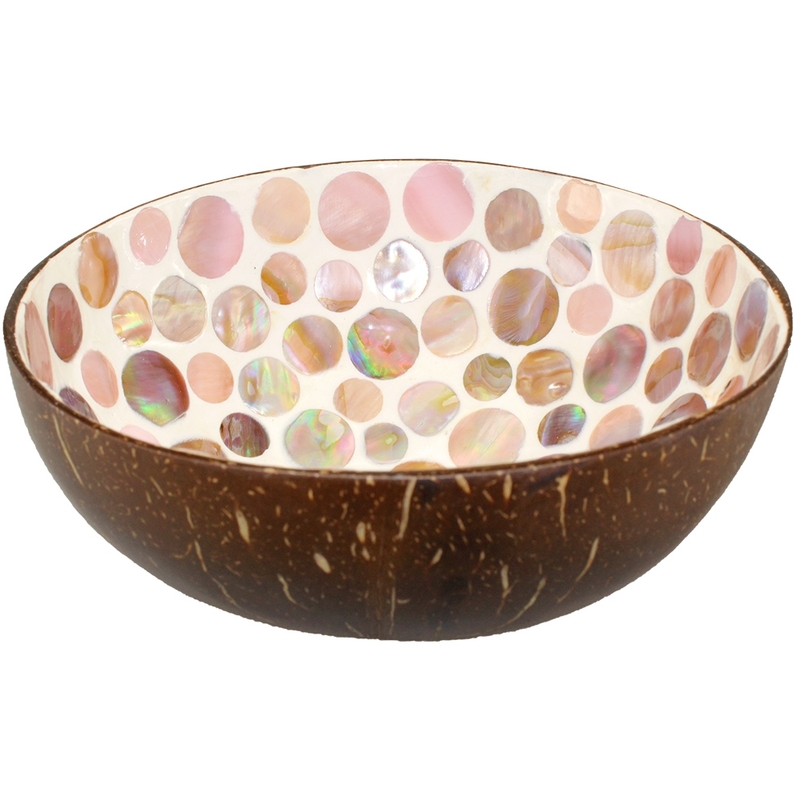 Coconut shells are sanded and polished to a smooth, glossy finish with mother of pearl dots inlay designs. (Best for dry foods, no sharp utensils, hand wash .) Size is approximate as no two are alike.